China does more international trade than any other country on the face of the earth. 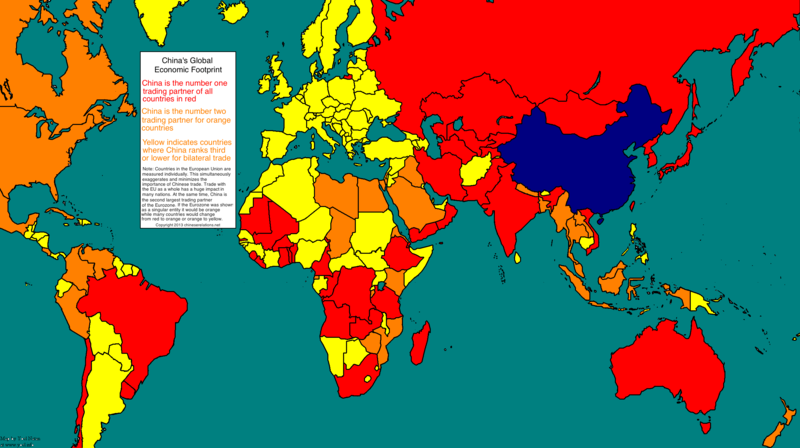 China is the single largest trading partner of all red countries and territories. China is the second largest trading partner of orange countries. For the purposes of this map, the European Union member states are counted individually, and the economy of Taiwan is shown as separate from Mainland China.